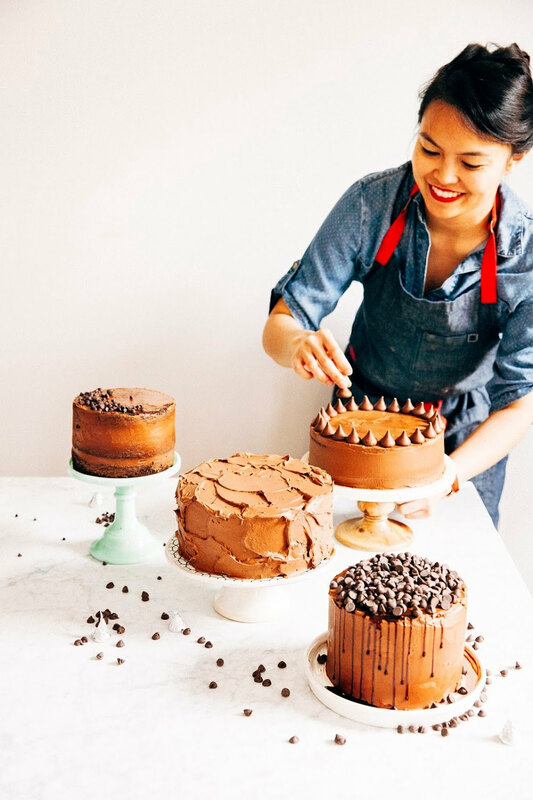 A few weekends ago, Erlend and I headed over to the Inner Richmond neighborhood to pick up his surprise Princess Cake for my birthday and to do some grocery shopping in the hood's cheap Asian supermarkets. Wandering down Clement Street is a treat in itself — the avenue is lined with dim sum shops full of shelves containing fresh hand-pulled noodles and sesame balls, as well as Chinese rotisseries proudly displaying Peking duck and slabs of golden, roasted pork. On a whim, we wandered into a nondescript store that advertised xiao long bao soup dumplings and nothing more. Inside was a whole display case offering not only every type of dumpling imaginable (soup or otherwise! ), but also a multitude of buns. Steamed pork, lotus paste, or egg yolk buns — there they all were, gleaming at us invitingly. In my excitement, I ordered my default: xiao long bao soup dumplings and a red bean-filled sesame ball. Erlend, always the more patient of us two, took his time to consider all the options available and walked away with zhir ma bao, a steamed bun filled with black sesame paste. I've made black sesame desserts before (most notably, these black sesame buttermilk rolls with goat milk glaze), but it's easy to forget about the ingredient as it's always being overshadowed by matcha, the dessert ingredient du jour. This time, I ended up making black sesame sugar cookies instead of steamed buns, mostly because I left my bamboo steamer back in Portland and, truth be told, my bun folding and rolling skills could use some work. The two are an odd flavor combination at first, but you'll soon find that the tart sweetness of the lemon is actually a brilliant companion to the heavy black sesame. And don't worry! As for those zhir ma bao buns that I talked about with such wonder, I'm working on a recipe, I swear. But let's eat these cookies first. Black sesame seeds are available in the bulk sections of fancy grocery stores like Whole Foods, or Asian specialty supermarkets. You can also find them online. If you want to break down the cooking time, you can make the lemon curd up to 1 month in advanced! The curd keeps well in an airtight glass jar in the refrigerator. 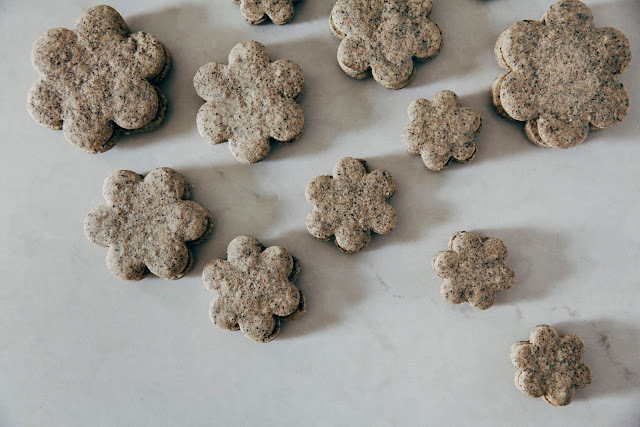 The cookie recipe starts by instructing you on how to make black sesame sugar using an oven and a food processor, thanks to this utterly genius recipe by Mandy of Lady and Pups. The recipe will make slightly more than what's needed for the rolls, and you can store whatever's leftover in an airtight container in the fridge for up to 1 month (similarly, you can make the sugar in advanced for up to 1 month). It's important to refrigerate the sugar since black sesame seeds have a ton of oil in them and go rancid fast. However, my leftover sugar never lasts that long — I often find myself reaching for it and stirring it into my green tea or coffee. 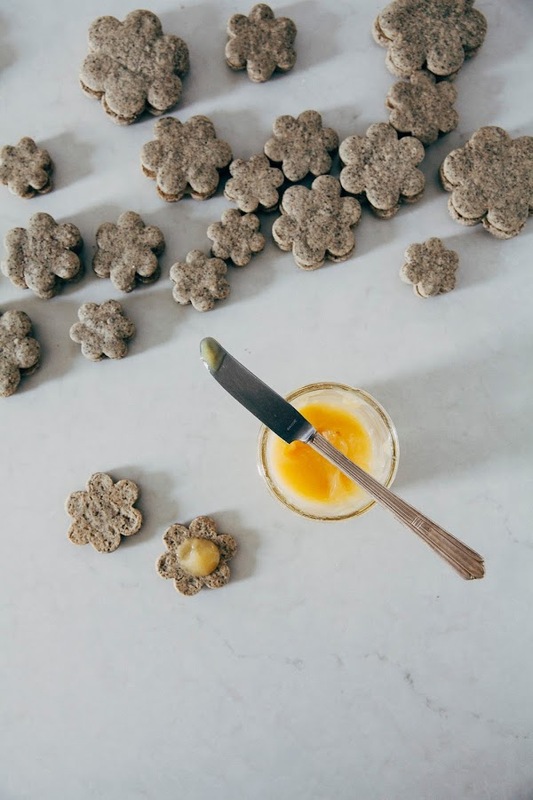 You can also roll the raw cookie dough in a small bowl of extra sugar before baking to give the cookies a black sesame sugar glaze. 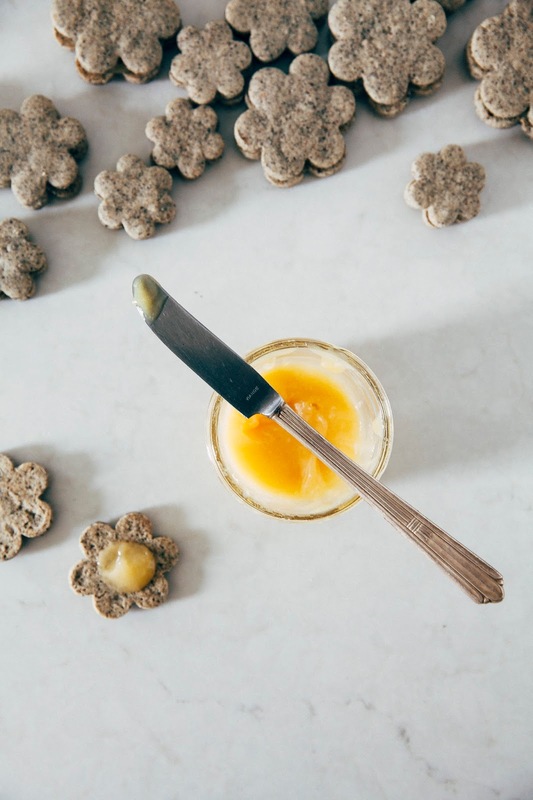 In a heatproof glass bowl, whisk together 1/2 cup granulated sugar, 1/4 cup freshly squeezed lemon juice, zest from 1 lemon, and 4 large egg yolks. Set the bowl over a pot of simmering water over medium heat to make a double boiler, making sure that the bottom of the bowl isn't touching the water. Whisk occasionally, cooking the mixture until it thickens considerably and a candy thermometer placed in the middle of the mixture reads 172 degrees (F). Remove the bowl containing the curd from the pan. Place on a wire rack and allow to cool until a candy thermometer placed in the middle of the mixture reads 140 degrees (F). When the mixture has cooled to 140 degrees, whisk in a couple of unsalted butter cubes from your 1/4 cup portion. Continue whisking until the butter cubes are completely incorporated, and then add another couple cubes until you finish your 1/4 cup portion. Place plastic wrap directly on the surface of the curd to prevent a skin from forming and refrigerate until well chilled before using to assemble and fill the cake. Center a rack in the oven and preheat to 400ºF. Spread 1/3 cup black sesame seeds evenly across a baking tray, before placing inside the oven. Use a heatproof rubber spatula to stir and toss the seeds every 3 to 4 minutes to ensure that they're being evenly heated, baking for a total of 15 to 17 minutes. Towards the end, the seeds should turn a light brown color and start to steam and smoke. To check that the seeds are ready, rub a seed between your fingers. The seed should shatter and crush easily into smaller grains, emitting a nutty and fragrant smell. When the seeds pass this test, immediately transfer to a cooler plate on a wire rack to prevent any burning. Once the seeds cool off completely, transfer to a small bowl and whisk in 1/3 cup granulated sugar and 1/3 cup dark brown sugar. Divide into two batches and pulse half the mixture in a food processor until finely ground; the mixture should resemble super-fine cornmeal. It took my food processor around 20 seconds of pulsing to achieve the desired texture (which you can see in the jar in the pictures above). Repeat with the second batch. DO NOT PULSE IN ONE BIG BATCH — otherwise, you risk the seeds turning into a butter instead of sugar. Transfer to an airtight container and refrigerate until ready to use. In a medium bowl, whisk together 15 ounces all-purpose flour, 1 1/2 teaspoons baking powder, and 1/2 teaspoon kosher salt. Set aside. In the bowl of a freestanding electric mixer fitted with a paddle attachment, combine 1 cup unsalted butter and 1 cup black sesame sugar. Cream on medium-high speed until light and fluffy, at least 5 minutes. After 5 minutes, lower the mixer speed to its lowest setting and add 1 large egg and 1 teaspoon pure vanilla extract, before turning the mixer speed back to medium-high and beating for an additional minute. Turn off the mixer and use a rubber spatula to scrape down the sides of the bowl. Sprinkle the dry ingredients (from the 1st step) over the butter and sugar, and pulse the mixer a few times to avoid a flour cloud from poofing up and out of the mixing bowl. 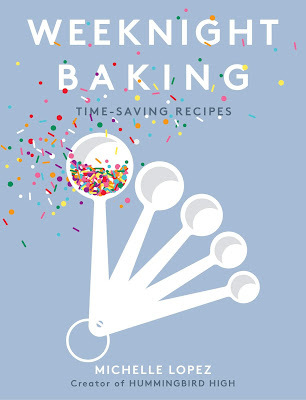 Continue mixing on the mixer's lowest speed just until the flour is incorporated, using a rubber spatula to scrape down the sides of the bowl as necessary. Once all the flour has been incorporated, use your hands to form the dough into a ball and wrap in plastic wrap. Smoosh down on the ball to form a disc and chill in the refrigerator for 1 hour. Prepare two baking sheets by lining each with parchment paper. Center a rack in the oven and preheat to 350 (F). Roll out the chilled dough on a lightly floured surface to 1/4-inch thick. Cut the dough using your favorite cookie cutter and transfer the cutouts to the two prepared baking sheets. Transfer one baking sheet to the refrigerator to chill one set of cookies while the other is baking. Transfer the remaining baking sheet to the center rack of the oven and bake for 10 minutes, until the cookies are slightly golden on the edges. Transfer to a wire rack to cool completely. Repeat with the remaining tray of cookies. yesyesyesyesyes black sesame 4 LIFE!!!! Sadly I've not yet tried black sesame in desserts yet--it really sounds great though, especially with lemon! I am so in love with these little pretties! Black sesame is the best! Ok this. I LOVE black sesame!! It's such an under-appreciated flavor - like you said, constantly overshadowed by matcha. As much as I love matcha, black sesame has a special place in my heart <3. ah!!! give it a try soon! i just had a black sesame creme brulee in london which i plan to immediately recreate when i get home — it's absolutely amazing! YES. Can we start a revolution and have black sesame steal the limelight away from matcha? I mean, I love matcha and all, but it's time to move on. Black sesame needs to be the next darling! 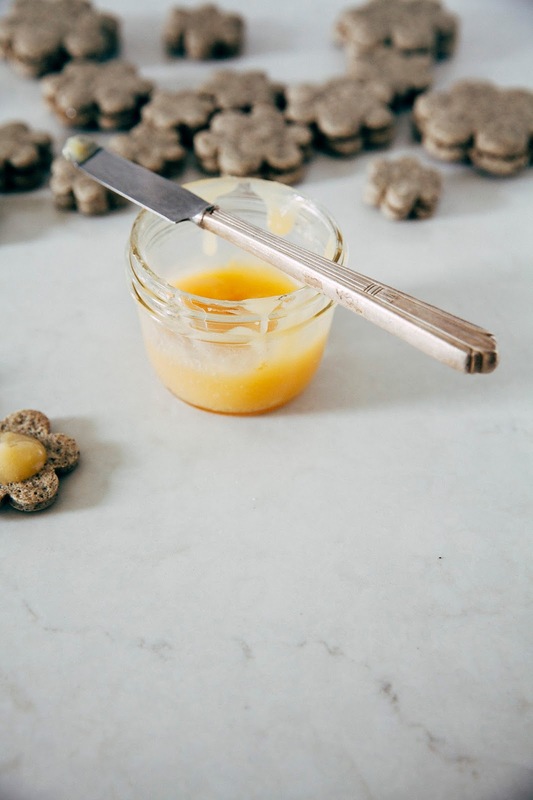 Give me all of the lemon curd! a sesame paste bun sounds sooooooo incredible! And so do these cookies!! You have created pure, unique deliciousness right here girl! And also, welcome back to SF! If you haven't been yet you should try the black sesame ice cream at Tara's in the East Bay. Thanks Abby! I was worried the cookies by themselves were too bleak; thank goodness for that sunny yellow curd! Whoa! Our cookies do look remarkably similar. Great minds! 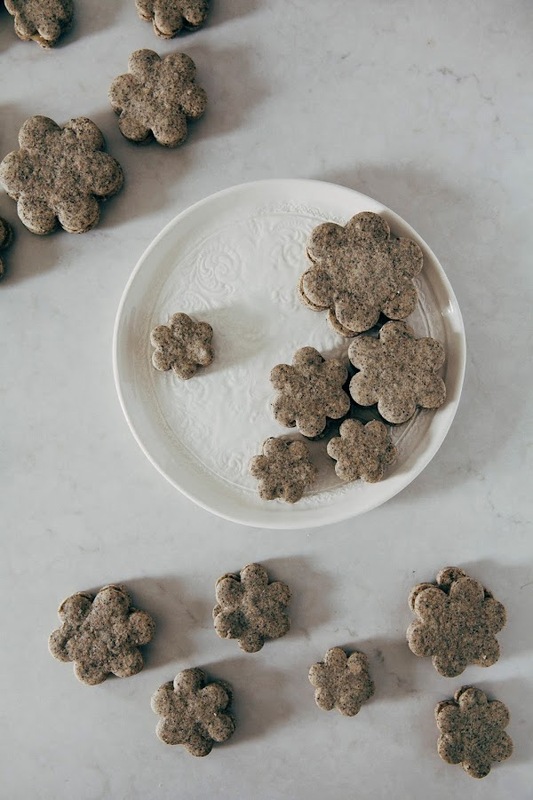 I like that you paired yours with nut butter — I'll have to try that the next time I make these! 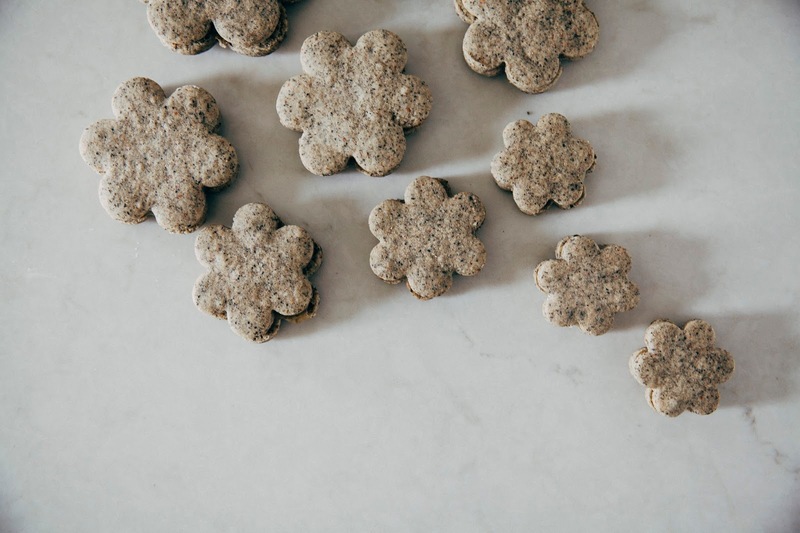 Michelle, these photos are so stunning - the contrast in the grey tones of the cookies and the bright golden curd is incredible, not to mention your PERFECT styling. I am so intrigued by this recipe! It was so lovely finally meeting you in person! Thanks for the wonderful dinner again! Thank you so much, Kelsi! I hope you get a chance to try it soon! This sounds so interesting! I don't think I've ever tried a black sesame dessert. You've inspired me! Do it!!! I bet you they'd be a great addition to one of your vegan desserts! YESSSS! I love sesame things and black sesame seeds are the prettiest ever. You put sesame in cookies???!!!!! This must be the best thing since sliced bread!!!! And such an interesting combination too! P.S. I love love love steamed buns and I might just have to try that sesame bun combo out! These black sesame beauties are awesome! I love, love the color palette – such a GOOD gray, especially with that pretty yellow curd. Thanks for another beautiful, completely delicious post Michelle! i LOVE black sesame. move over matcha! Michelle you did a good recipe in simple manner. Expecting more from you here. Visit my service custom essay writing service for fresh educational papers. Oh my gosh, catching up on your posts is the BEST. 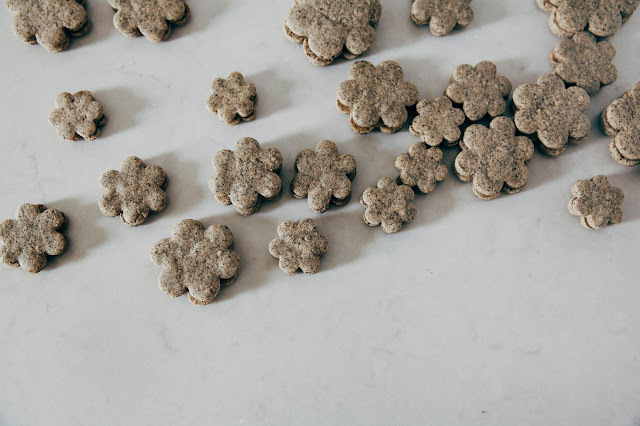 These COOKIES! I am so with you, black sesame is my heart and soul and I love it beyond words (it was weirdly hard to find in Japan compared to matcha?! They need this memo from you stat.) And the black sesame with this lemon curd is absolute perfection. I cannot WAIT for your black sesame bao! !